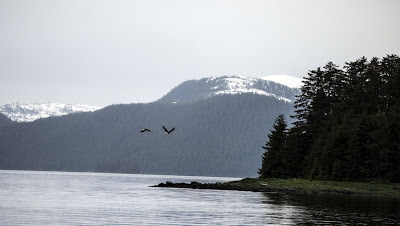 Today we need to make some distance through Peril Strait towards Sitka. It's about 70 miles from Red Bluff to get to the Sitka side of Sergius Narrows. Slack at the Narrows occurs at 6:30pm so it will be a long day. We do want to get some fishing in too so Alex retrieves the prawn traps early, and we're underway by 7:30am. Oh yea there were prawns and just enough for another pasta creation by Vince. 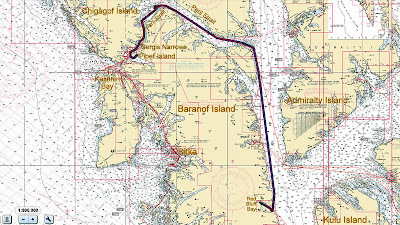 Our route from Red Bluff Bay through Peril strait to Piper Island Anchorage. Chatham Strait is docile today and we make time in calm seas turning left at Peril Strait. We begin to ride the current into Peril which helps our progress until Nismani Point. There we rig for trolling as last year we hooked a salmon here. We enjoy the eagles, whales, seals and schools of surface bait as we circle troll around Elovoi Island. Despite the wildlife viewing excitement the salmon are elsewhere. Next we motor a few miles down Deadmans Reach to Pogibshi Point and drift mooched awhile. Time eventually expired and we met the slack current at Sergis Narrows at 6:30pm anchoring around the corner in Piper Island Cove. 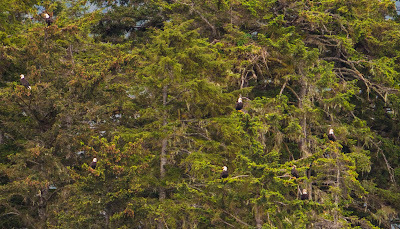 Just 7 of the 30 eagles in this tree on Elovoi Island. 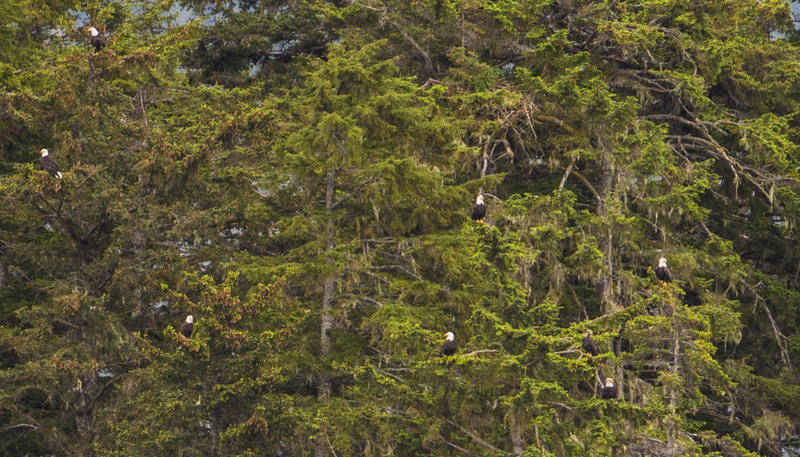 We circled Elovoi trolling and enjoying the wildlife views. 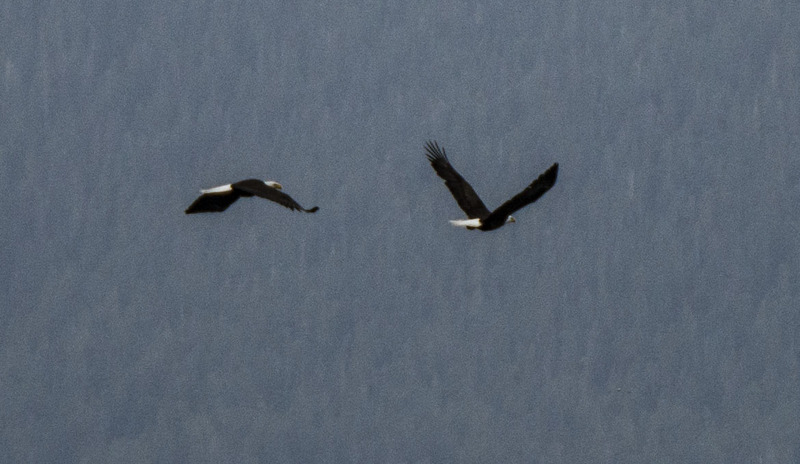 Close up of the eagles above. And this is the guy that built the hospital?